Welcome to a new feature I’m calling What’s In The Mags. This is most definitely a work in progress, but my goal is to highlight each issue of the major U.S. climbing magazines. 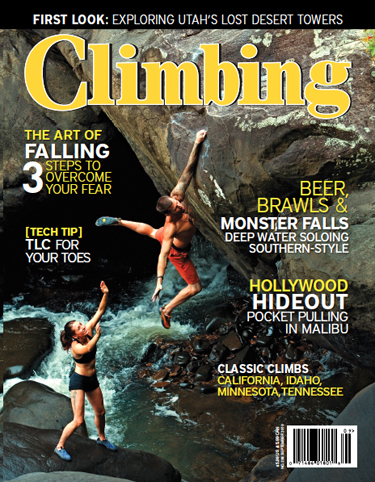 While the internet has become a great resource for reading and learning about climbing, I still think that magazines have a lot to offer. 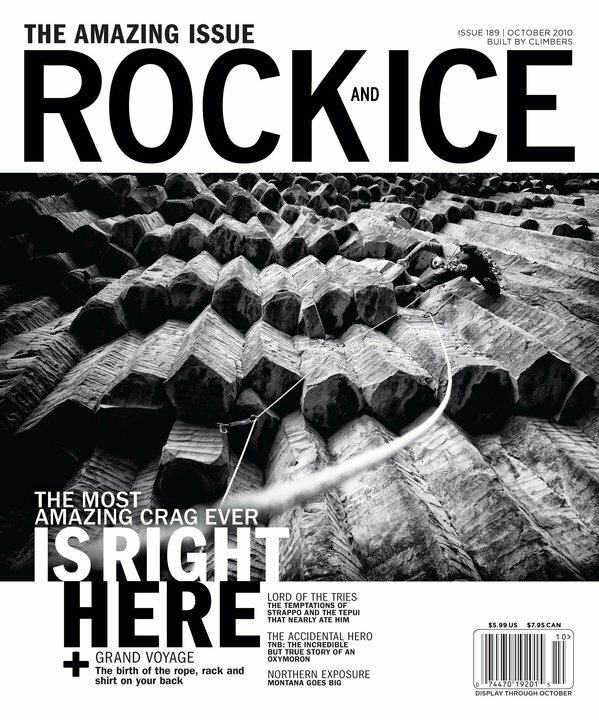 Without further ado, here is what is going on (in no particular order) in the latest issues of Climbing, Rock & Ice, Deadpoint and Urban Climber. Wind, Sand, and Scars by Andrew Burr – Climbing remote desert towers in UT with Pete Vintoniv, Rob Pizem and Orin Salah. 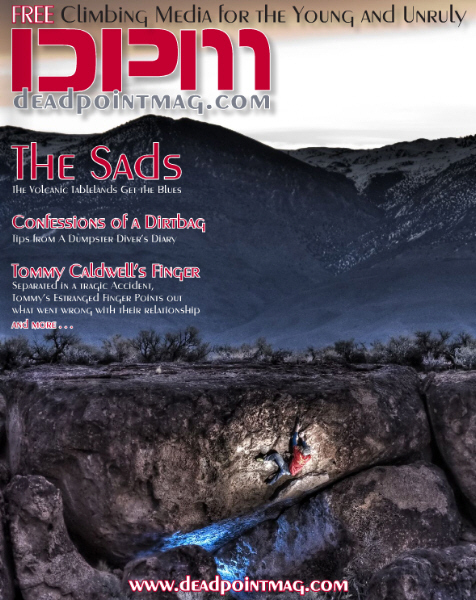 Editorial from new editor-in-chief Dougald McDonald outlining his vision for the future of the magazine which will include an “unwavering focus on the average American climber”. Of the featured articles I most enjoyed Andrew Burr’s piece about climbing remote towers in Utah while the “water scrambling” piece just made me more jealous of the amount of rock there is near Chattanooga, TN. With Dougald McDonald on board as the new editor-in-chief it will be very interesting to see where Climbing goes from here. It’s hard not to be inspired by the “Armenia Amazing” & “Big Sky” articles, and the “What I’ve Learned” piece was a nice insight into the mind of Beth Rodden. After a an excellent Women’s Issue this issue of DPM left me a bit flat. 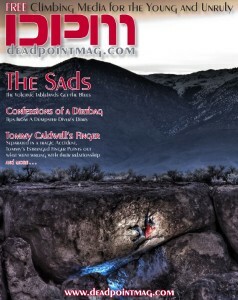 The piece on bouldering at the Sads was good albeit a bit brief. Otherwise the Us Magazine inspired Outdoor Retailer piece is always good for a laugh. The X Factor by Melissa Strong – Female FFAs with thoughts from Ana Burgos, Jill Church, Thomasina Pidgeon, Natasha Barnes, Jody Hansen, Lisa Rands & Angie Payne. The discussion about first female ascents was really well done and is well worth the read if you’re interested in that discussion (I am). The Climbing Alamanac was a bit hit or miss but it did have some good stuff in it. Is the Climbing Narc too cool for Alpinist? Quite the opposite. I hope to include Alpinist in future posts like this but I just haven’t had time to go through the latest issue in any depth. That took two whole minutes to resolve! I aim to please. 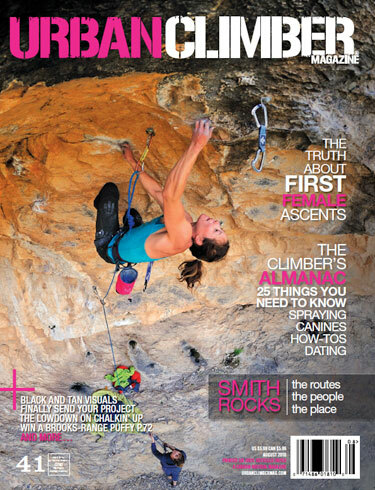 Plus, its not my fault it takes the same amount of time to read these 4 mags as it does 1 issue of Alpinist. This is a great idea for a new segment. Keep it up!